I shot the photo above during my time in Reinfeld. It’s a Deutsche Bahn train. I am no train expert, but after my Google research I think the engine is a “BR 112” which probably means “Baureihe 112”. The sign “DB” is just the sign of the Deutsche Bahn, but I am not sure about the numbering. I think the “112” stands for the engine model as said, but I am not sure what the “177” is about. Also I am not sure about this, but I guess the engine is one of the older ones. But then again, don’t believe anything I am writing here, I have no clue about trains. 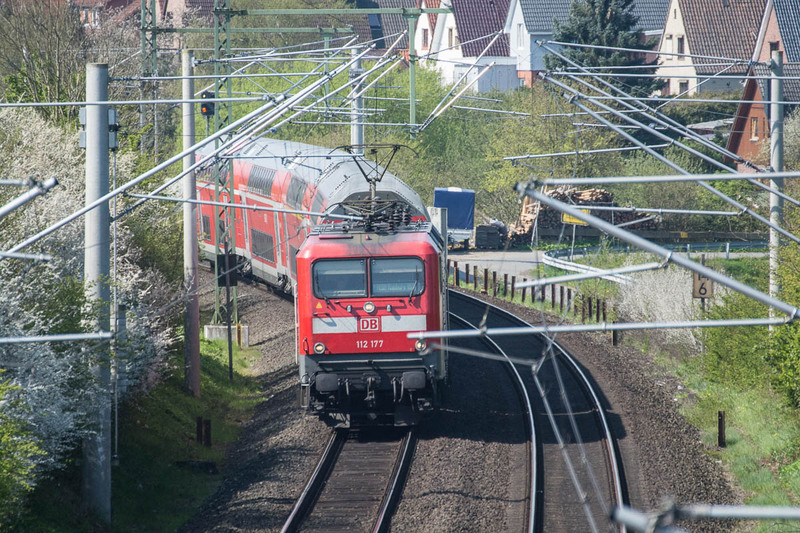 I don’t know about German train numbering, or even modern Australian for that matter but it’s a good shot . I like the angle you took it from. Looking down from a bridge? Exactly 🙂 A small footbridge.